Drum heads are made of rubber. 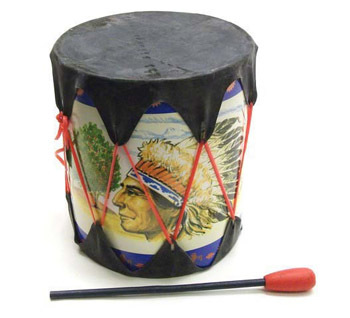 Drum - Height 6 1/2" x Width 5 7/8". Stick - Length 8 1/4"